It's 2019, a time and age of digital technology and secure connectivity, courtesy of the internet. In this fast-paced landscape, if you operate a business but do not have a website, you lack several profitable opportunities. Not that I am saying every business has a website today, but every business should have a website today. After all the whole world is consuming information through the internet at a rapid rate. With the worldwide internet user population in 2018 reaching 3.9 bn, it is a bankable move to have a website that can help with increasing traffic, enhancing visibility and escalating revenue generation. A convenient channel for business to connect with its users. A customer always goes the comfortable route, meaning they Google first and go on physical stores later. Now that the benefits of having a well-designed website have been established, what is meant by the phrase well designed? A website will be deemed well-designed when it provides easy navigation, has a proper pattern design, minimum loading time, is responsive for across mobile platforms, serving the purpose of brand sending its message across the target audience. Shopify is one of the most prominent site builders assisting businesses across the world establish their online store with ease. A leading global e-commerce solution provider, Shopify is labeled as one of the most comprehensive tools for building your website, without the need for any technical expertise. Shopify lets you focus on creating new products and selling them while it efficiently takes care of the payment gateways, order management and more. With several Shopify plugins automating back end tasks like accounting, reporting, shipping, you get more time to better focus on marketing campaigns and enhancing your sales. It has a user-friendly interface that well integrates across enterprise resource management and other systems, for hassle-free control of global deliveries. Furthermore, you get to choose from a wide range of theme, most of which are mobile friendly. We understand the importance of having a mobile friendly interface in attracting, engaging and retaining customers, don't we? One of the most praised features of Shopify is its 24*7 customer support, which you can reach out not only through live chat or email but calling in four different numbers depending upon your geographical location. No matter the issue, technical or website related, it is promptly resolved. Moving your store across platform is a hassle in Shopify, as it would need experts instructions. If ever the need to customize arises, you might have to hire Shopify professional with the expertise to set up your website, which can add to the expense. Not being able to customize gives rise to scalability issue, which provokes businesses to switch to custom web development. Shopify is suitable for small business owners or bloggers for whom the appeal and ease of the website utilization is preference. Entrepreneurs with customization being their requirement, should not opt for Shopify. The apparent power of Wordpress is the easy content management system, making navigation across page and content, a piece of cake. WordPress user-friendly CMS makes managing content easy without much of contentment management skills and knowledge. It offers a plethora of free and paid plugins so that you can easily make any specific change to the content. One such boon to the digital marketers operating WordPress is its SEO plugins, which encouraged to create and manage content with best SEO practices. It is a low cost, mobile-friendly framework, offering several themes to choose from. Designed with minimal PHP coding, it facilitates the quick loading of the website. Responsiveness and consistency are of importance in UX and WordPress offer that. Since Wordpress is an open source platform, it is vulnerable to attack by potential hackers. Cybercriminals can easily install Malware on your WordPress site, but this can be prevented by being vigilant while installing Wordpress plugins. Unless you are a Wordpress expert, customization can be challenging for your website because WordPress updates frequently, some of them tend to disarray the functionality of the site. While it does offer various themes, these themes contain a lot of useless codes, which impact the speed of the site and also the loading time. Only a Wordpress professional can resolve it. Another commonly used framework is Magento, which despite its flexibility, an abundance of features, scalability can have a tough time customizing the website since it features loaded version can be time-consuming. Also, the present scenario of lack of developers in this field comes in the way of research over customization. 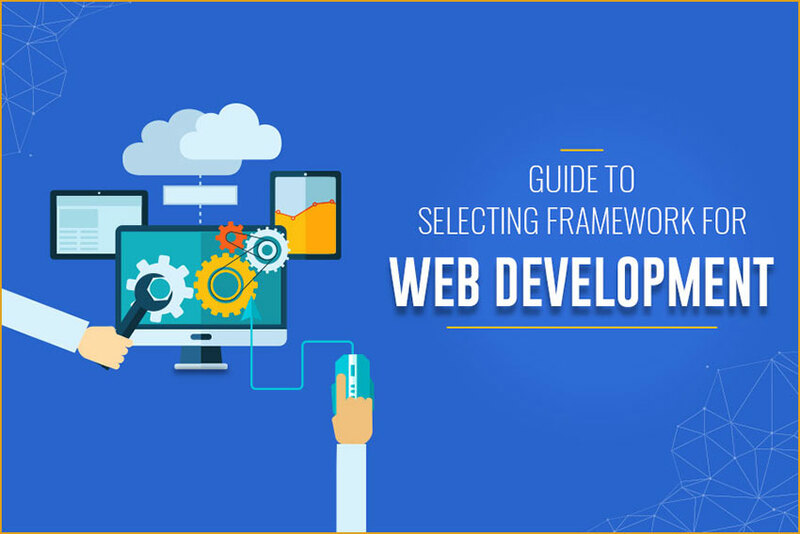 One common issue we have encountered in these frameworks is the hassle in customizing the website, which can be easily tackled by the custom web development, albeit done by professionals with demonstrable experience. If your business solely depends on a robust online presence, then investing in custom web development would be bankable, as it might be cost -extensive, but it gives a higher return on investment. This should be kept in mind that custom built website are costly and time taking, and there are specific contract intricacies since the site is built from scratch per the business's requirements, always leaving room to particular changes which can be made, as and when needed. Unlike the website builders mentioned above, customizing a website takes a team of creative and technical experts to design a website that fulfills business demands and serves marketing purpose to the maximal. It gives freedom to be more creative and implement that in the designing, rather than sticking to the traditional template design which numerous other websites are using. This gives you a more comprehensive platform for business branding. It is flexible, adaptable and scalable. As the business will expand, new technologies can be installed to suit the businesses requirement. Unlike Wordpress where security is a significant concern due to its open-source platform, custom web apps are built on a closed sourced network. It follows strict security approach, minimizing the breach or hacking vulnerability. The professional who will build a custom web app for your business will proffer more than just website building. They will facilitate servicing, maintenance, and app marketing as well, now of which you are dispensed in the other two frameworks. With Saffron Tech, you can get your website built by Wordpress experts, Magento pro developers. These services we would suggest to small to medium businesses. If you would like to create a substantial web presence, then we also have a dedicated team offering custom web development services, building usable and scalable customized apps per client’s budget and requirement. Right from ideation to maintenance and app marketing, Saffron tech custom app development services has got your back.